This amazing office building has great visibility from Pancheri, yet is far enough off the road that traffic noise isn't a problem! 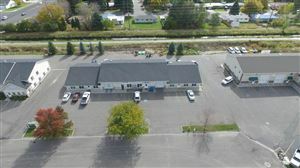 This building is complete with 1579 square feet which includes: four offices, a conference room, a great reception area, and plenty of storage in the rear structures! If you are looking for a a place to house your business, store your business tools and materials, this may be it! This office provides your business with a great presentation for your clients and the storage you need for your growing business. The office building has in floor heat. There are additional outbuildings behind the office.. one building has three 12 ft overhead doors and makes an EXCELLENT 1080 Sq ft SHOP/WAREHOUSE which also has another small office that is cadet heated and work ready. There is also a shed on the property with one overhead door for additional storage. Come take a look at this classy and efficient space! 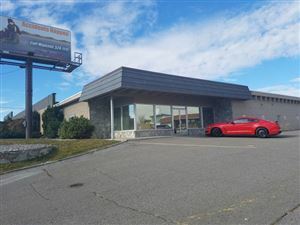 This property is also for lease!! Contact agent for more info! Buyer to verify all info.